276 Commonwealth is located on the south side of Commonwealth, between Fairfield and Gloucester, with 274 Commonwealth to the east and 278 Commonwealth to the west. 276 Commonwealth was designed by architect Samuel D. Kelley and built in 1885-1886 by Wentworth & Orne, builders, one of two contiguous houses (274-276 Commonwealth) designed in the same style. 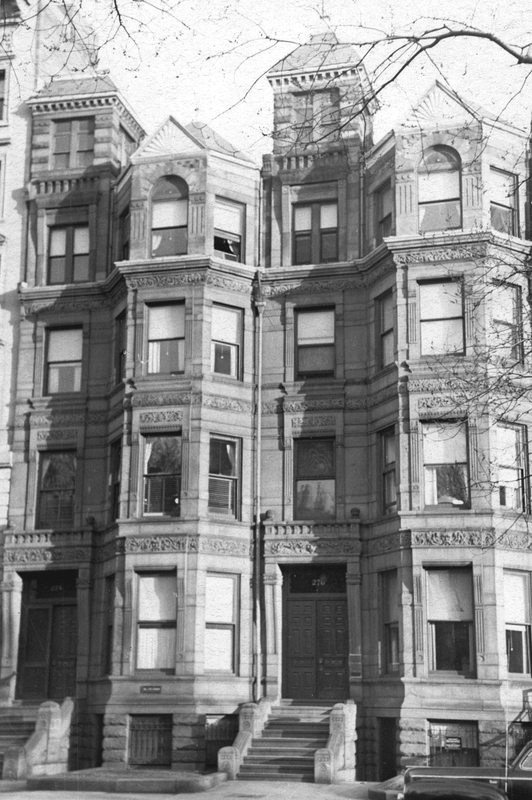 276 Commonwealth was built for Henry M. White, a boot and shoe dealer. He is shown as the owner on the original building permit application, dated August 24, 1885, and on the final building inspection report, dated December 16, 1886 (in his Houses of Boston’s Back Bay, Bainbridge Bunting indicates that 276 Commonwealth was built for W. Sherburne and 274 Commonwealth was built for H. M. White; however, the permit applications and deeds indicate indicate the reverse). Henry White purchased the land for 276 Commonwealth on June 18, 1885, from Silas Whiton Merrill. 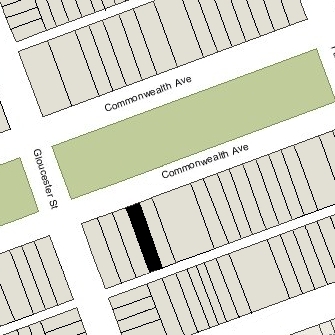 Silas Merrill also had owned the lot at 274 Commonwealth, which he sold on the same date. He was a building contractor and probably originally had planned to build houses on the two lots himself. He had purchased them on December 1, 1884, from Adelaide Joanna (Bacon) Sargent, the wife of George Darius Sargent. The lots previously had changed hands several times and were part of a parcel previously owned by Nathan Matthews, part of an even larger tract he had purchased on January 2, 1871, from David Sears, Jr., Frederick R. Sears, and Knyvet Sears. Click here for an index to the deeds for 276 Commonwealth. 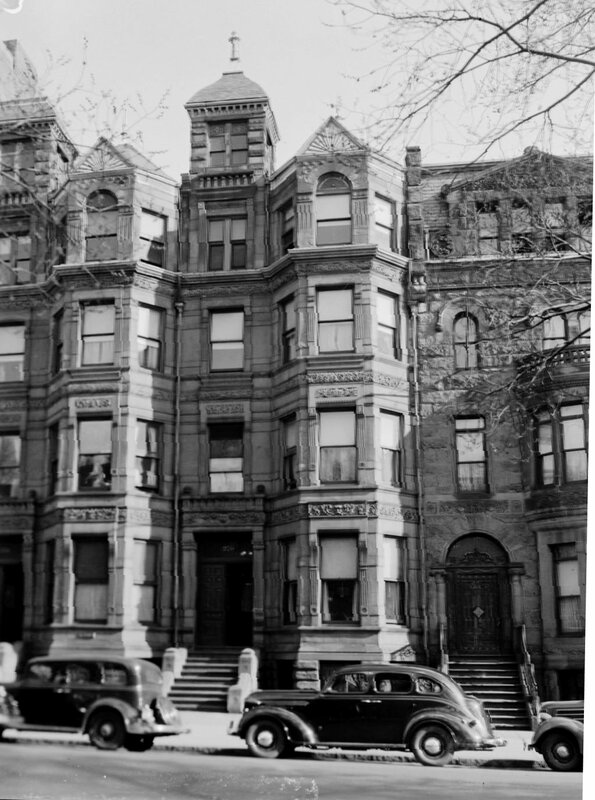 Henry White and his wife, Frances Elizabeth (White) White, lived at The Tudor (northwest corner of Beacon and Joy) in 1888 and at The Thorndike at 91-92 (230-240) Boylston in 1889. By 1890, they had moved to an apartment at the newly-completed Imperial at 308 Commonwealth. They never lived at 276 Commonwealth. 276 Commonwealth was not listed in the 1886-1889 Blue Books. On June 15, 1889, 276 Commonwealth was purchased from Henry White by Benjamin E. Cole. He and his wife, Margaret C. (Winn) Woodworth Cole, made it their home. They previously had lived at 754 Tremont. Benjamin Cole was a boot and shoe manufacturer and served as president of the Shoe and Leather National Bank. He died in November of 1903. 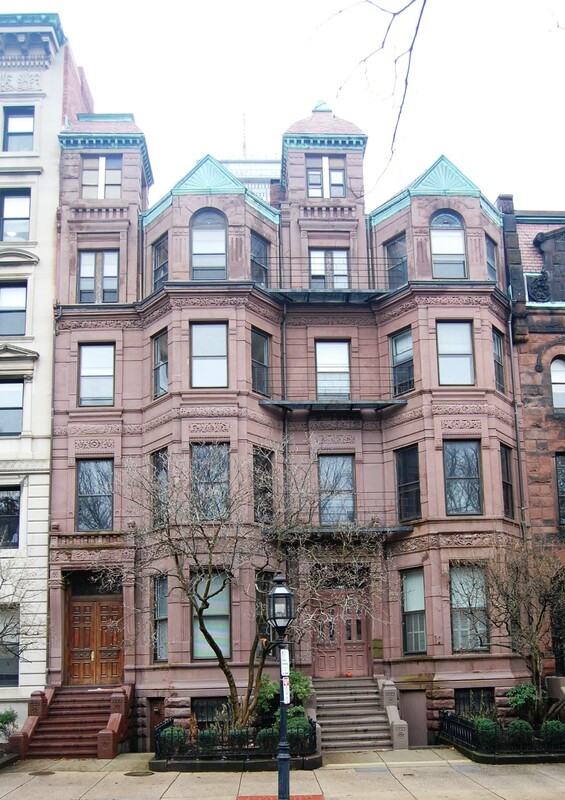 Margaret Cole continued to live at 276 Commonwealth during the 1904-1905 winter season, but moved thereafter. On January 9, 1905, she released all interest in the property to her step-son Edward B. Cole, Benjamin Cole’s son by his first marriage, to Ellen J. (Humphrey) Cole (in his will, Benjamin Cole had left 276 Commonwealth to his son, with a stipulation that Margaret Cole be permitted to reside there for up to a year without paying rent). On May 9, 1905, 276 Commonwealth was purchased from Edward Cole by Cyrus S. Hapgood. He and his wife, Clara A. (Connor) Hapgood, made it their home. They previously had lived in Everett. He was a provisions dealer and beef packer. Cyrus Hapgood died in May of 1914. 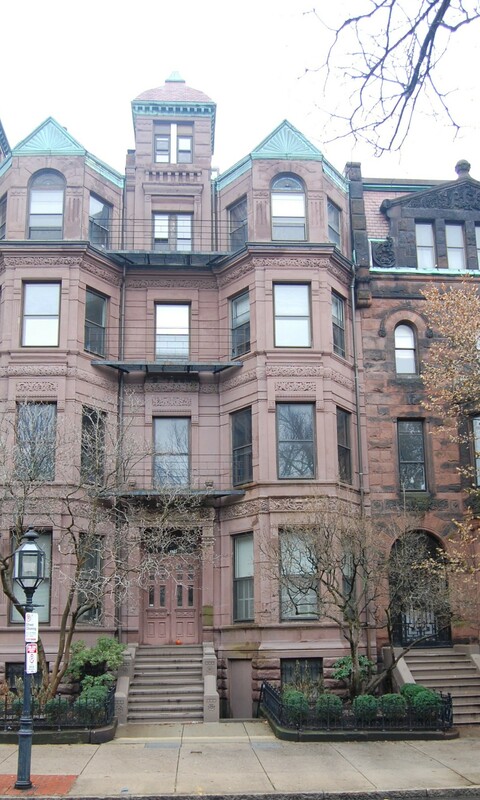 Clara Hapgood and their unmarried son, Charles W. Hapgood, continued to live at 276 Commonwealth. He was superintendent, and later general manager, of the New England Rendering Company. Clara Hapgood died in July of 1922, and Charles Hapgood moved thereafter to Brookline. On August 1, 1923, 276 Commonwealth was purchased from Cyrus Hapgood’s estate by Mary Jane (McHugh) Bryant, the wife of Dr. Frederick Bryant, a physician and radiologist. They lived in Worcester. In October of 1923, Frederick Bryant applied for (and subsequently received) permission to remodel the interior. The current and proposed use of the property was indicated as being a single-family dwelling. However, based on the City Directories, it appears that he converted the property into medical offices. As part of the transaction, she assumed a mortgage given by Mary Bryant to the Exchange Trust Company. On December 22, 1925, 276 Commonwealth was acquired from Mary Leahy by Charles Bouin, a retired physician, and his wife, May Regina (Flaherty) McEvoy Bouin. They had acquired 274 Commonwealth in August of 1924. The Bouins assumed the mortgage on 276 Commonwealth to the Exchange Trust Company and entered into a second mortgage with Charles Hurley and James Carrig. In 1928, Mary Leahy married Edward Leo Smith, a real estate agent with Charles Hurley and James Carrig’s firm. On July 18, 1928, Edward Hurley and and James Carrig acquired 276 Commonwealth from Mary (Leahy) Smith. Charles Hurley was elected Massachusetts State Treasurer in November of 1930. He served as Treasurer until his election as Governor in November of 1936. He served as Governor through 1938. In January of 1931, Charles Hurley acquired 274 Commonwealth, with the property held in the name of Anastasia Walsh. That month, he and James Carrig applied for (and subsequently received) permission to combine 274 and 276 Commonwealth, cutting doors through the party wall, and to convert the combined property into doctors’ offices. On May 19, 1931, James Carrig transferred his interest in 276 Commonwealth to Edward Hurley. That same month, 274 Commonwealth was acquired from Anastasia Walsh by Helen A. Delay, Charles Hurley’s personal secretary. On March 27, 1934, he transferred 276 Commonwealth into her name so that she held both properties, presumably on his behalf. On February 15, 1952, 274-276 Commonwealth were acquired by the Professional Building Company, which also owned 270 Commonwealth.